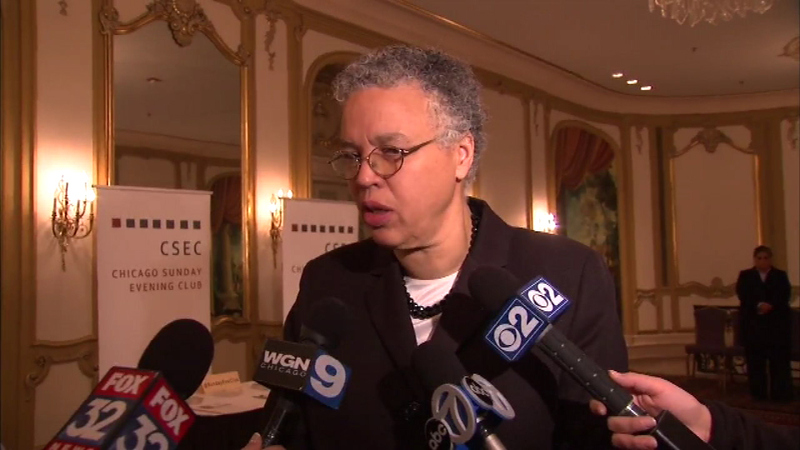 CHICAGO (WLS) -- Cook County Board President Toni Preckwinkle released an amended budget recommendation Thursday to make up the losses of the soda tax repeal. The amended budget calls for layoffs of 425 people and the elimination of 762 vacant positions. Most of the cuts involve middle management positions at the Cook County Sheriff's Department, and in the Chief Judge's office, but virtually all offices will have job cuts, according to the recommendation. The amendment is cosponsored by 15 commissioners. "I believe this amendment represents a solid first step toward implementing lasting structural reforms," said Commissioner Richard Boykin. "I am pleased that today we will be introducing an amendment to Cook County's FY 2018 budget that will bring it into balance. The amendment will have bipartisan support from commissioners. I applaud the commissioners for their collaboration on the amendment, as well as the separately elected officials, County staff and the public for their input, and look forward to passage of our budget Tuesday." For the full Cook County Executive Budget Recommendation for 2018, click here.